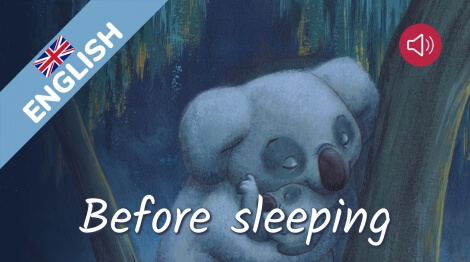 A story to fall asleep with and learn about wonderful animals. Enjoy an exotic atmosphere and amazing animals by reading this animated digital book with your children. They will go to sleep with stars in their eyes. The sound effects bring a remarkable universe to this digital artwork. Open wide your eyes and ears as you’re going to discover these animals. Do you think they fall asleep the same way as your children ? It’s up to you to find out... Animated story, told by Siobhan Hernon, 9 pages.